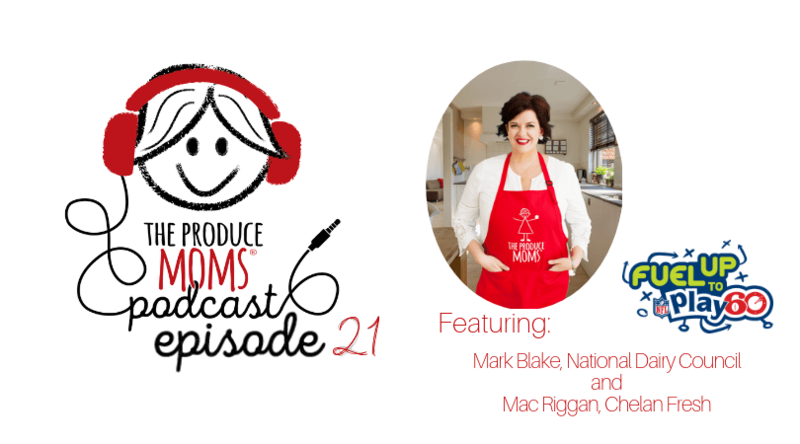 This week on The Produce Moms Podcast, Lori spends time chatting with Marc Blake, Vice President of Business for the National Dairy Council and Mac Riggen, Director of Marketing for Chelan Fresh. Chelan Fresh is a Washington-based produce provider of pears, apples and cherries. Chelan Fresh has been collaborating with the Dairy Council, the USDA, and the NFL for the past 7 years in a program called Fuel Up to Play 60. Fuel Up to Play 60 is a nutrition and physical activity program implemented in schools to help encourage healthier lifestyles in our youth. Mac and Marc discuss a new program launching that will place breakfast and salad bar carts in schools around the nation. Their mission is to provide more nutritious options for our students, that will lead to greater impact in their academic performance, and ultimate success in life. Through this current endeavor, over 9000 students will benefit, and over 1.3 million nutrient dense meals will be provided. This episode demonstrates the way different companies and councils in the food industry are coming together to help impact the produce industry in a healthy way! If you would like to find out more about Fuel Up to Play 60 visit fueluptoplay60.com. More information about Chelan Fresh can be found at chelanfresh.com and the National Dairy Council’s website nationaldairycouncil.org is full of resources and recipes!